Our daughter, Carrie St. Louis, has the fun job of being a leading lady on Broadway. My husband and I went to see her opening night as Glinda in Wicked and went out for a celebratory nightcap in a Times Square bar on our way back to the hotel. 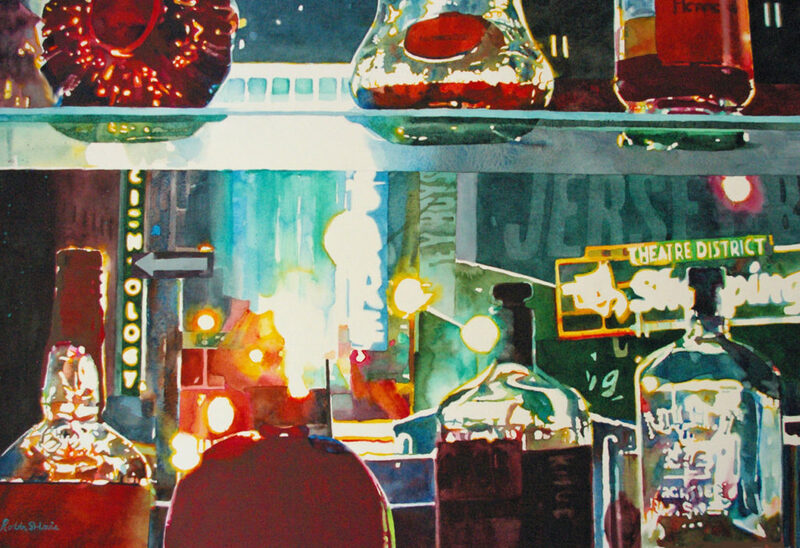 I loved the jewel-like colors of the bottles and the look of the theater district lights shining through them. I ended up doing two paintings of them, slightly different, both sold. If you want one, I wouldn't mind doing another!